I just love this cole slaw piled high on a pulled-pork sandwich–almost any sandwich, actually–or served alongside delicious vine-ripened tomatoes, sweet pickles, and just about anything off the grill. Soaking the cabbage in ice-cold water for about an hour after chopping but before mixing with the dressing will add an extra level of crispness to this salad. Just make sure to drain very well. If you decide to skip this step, however, the cole slaw will still be delicious. Also, while I like to use a combination of Greek yogurt and mayonnaise, using all mayonnaise is certainly acceptable. 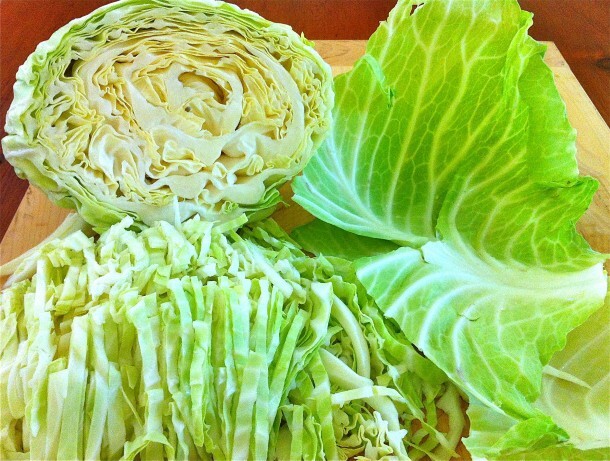 Remove the outer leaves from the cabbage, core, and finely chop or slice. I like to keep some slightly thicker slices for good texture. Soak in ice-cold water for an hour (more is fine), then drain very well. Mix the remaining ingredients. Stir in the dressing, and toss to coat all of the cabbage. Check for seasonings and refrigerate until ready to serve. he LOVED it and took seconds! Even had some put aside for him for his lunch today. I like the broccoli slaw but better with a vinegar dressing recipe i have from Weight Watchers. 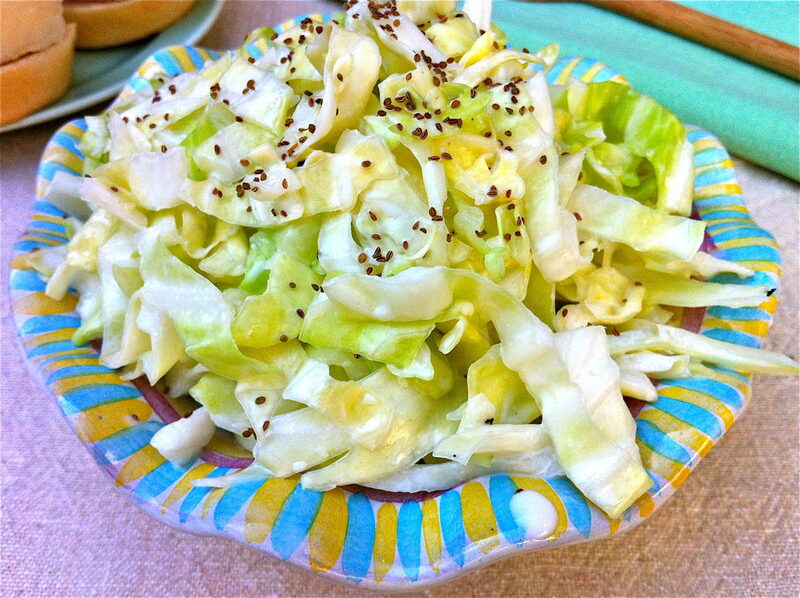 I, the non German heritage one LOVE cabbage like this and the dressing was so good, I will make some for me with green cabbage and purple as well and he can have the broccoli slaw. Success! I love it when that happens and I bet you were thrilled when he asked for seconds. Your idea to try broccoli slaw was genius!! I had some leftover pulled pork BBQ for lunch with the slaw. OMG that slaw dressing is delish, it is even better after sitting in fridge couple of days. I do love cabbage though and the peppery bite it has, next time I make it I will use green and some purple cabbage which I love! I think I need to create a binder JUST for the wonderful recipes i am printing from here. I have even directed a few of my Facebook friends to your website/blog.